India Yamaha Motor Pvt. Ltd (IYM) has issued a voluntary recall of all YZF-R3s manufactured between July 2015 and May 2018. This recall has been made to address an issue related to the radiator hose and spring torsion. The issue essentially leads to leaking of the coolant from the radiator and widening of the torsion spring. A total of 1,874 motorcycles have been recalled. While no such issues have been reported in the country as yet, this directive comes from Yamaha Motor Company Ltd. (Japan). IYM has initiated a modification campaign to address the issue. Both these problems will be fixed by the company free of charge. In 2016, almost a year after the R3 made its India debut, the motorcycle was recalled because of a potential issue concerning the pressure plate and oil pump. In February 2017, Yamaha once again announced a recall – this time for multiple issues including a defective fuel tank bracket and a faulty main switch assembly. While it is great that the manufacturer is actively recalling and fixing the issue before the situation gets out of hand, such repeated recalls can be the cause of frustration for the customer. Yamaha brought in the YZF-R3 to India in August 2015 but was forced to discontinue sales when the BSIV mandate kicked in on 1st April 2017. The Japanese bike maker then re-launched the R3 in February this year with a single channel ABS and Metzeler tyres. 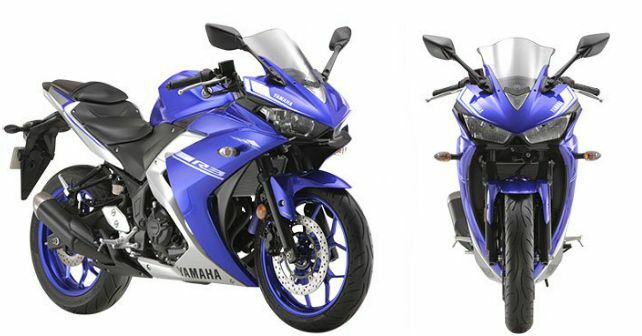 The Yamaha YZF-R3 is currently priced at Rs 3.49 lakh (ex-showroom Delhi).